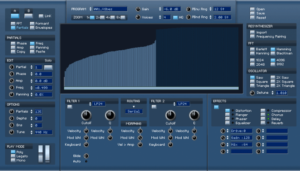 The software developer discoDSP announced today version 3.7 of its Vertigo additive Synthesizer for Windows, Mac & Linux. It includes drag & drop and import support for various files types. 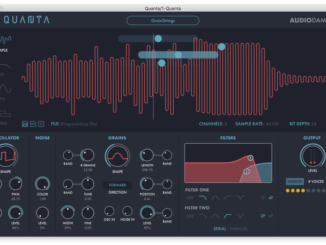 Also a VST3 version is now available for Windows and macOS. Vertigo is an additive synthesizer for VST / VST3 / Audio Units hosts featuring 256 partials, re-synthesis and morphing with very high sound quality and built-in effects. Added drag and drop to GUI for VPF / WAV / AIFF / OGG / FLAC / JPG / BMP / PNG files. Added import to both layers when Link button is enabled. Added OGG / FLAC wave import support. Added JPG / PNG file import support. Added native dialog window support. Added filter LCD click to navigate. Windows and macOS VST3 support. Fixed preset LCD name not updating after using Open. Fixed partial mouseover not drawing curves properly while holding click. Fixed panning negative values not displayed. Fixed preset name not recalled after re-opening the project. 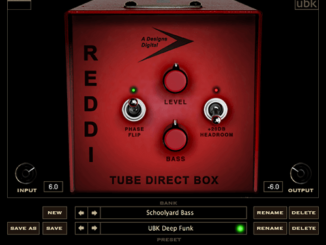 discoDSP Vertigo (VST/AU) is now available for 69 EUR. Until May 15th you can save 30% off as part of discoDSP’s Spring Sale. Last Days! Puremagnetik Retro Synths 1980s Bundle (4GB +) For $9.99 USD! Antares Auto-Tune Pro Vocal Processor Plugin Is Now Available! 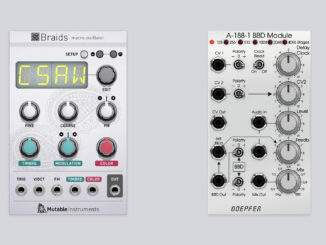 Mutable Instruments Braids & Doepfer A-188-1 BBD Delay Is Now Available For Softube Modular!